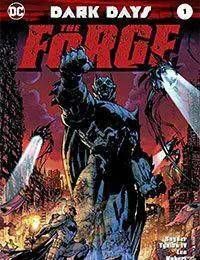 ARKNESS COMES TO THE DC UNIVERSE WITH THE MYSTERY OF THE FORGE! Aquaman, The Flash and more of DC's pantheon of heroes suspect Batman of hiding a dark secret that could threaten the very existence of the multiverse! It's an epic that will span generations-but how does it connect to the origins of one of DC's most legendary heroes?The great comics event of summer 2017 is about to begin courtesy of superstar writers Scott Snyder and James Tynion III and illustrated by a master class of comics artists: Andy Kubert, Jim Lee and John Romita Jr.! You do not want to miss this one!